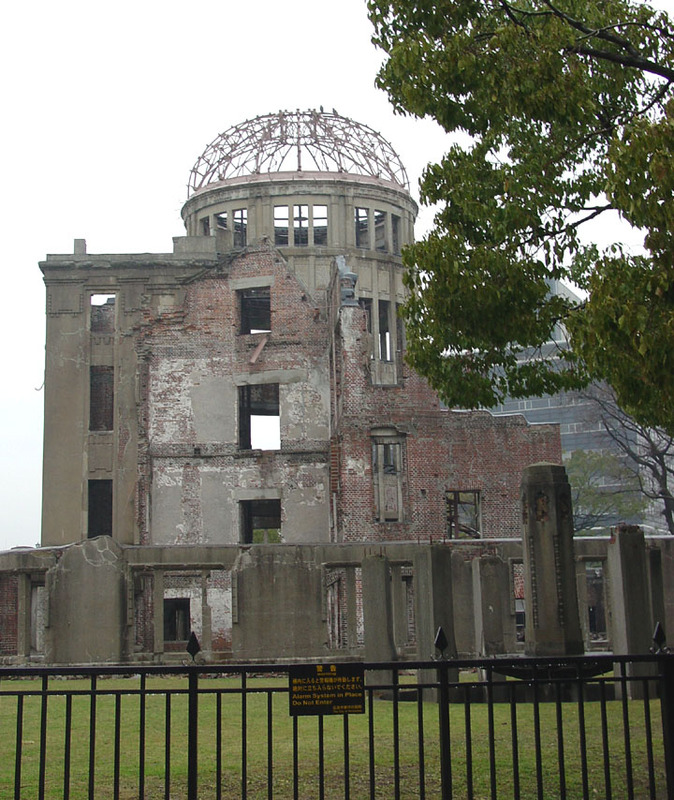 At the beginning of the Hiroshima area economically, Hiroshima responded to the need for a central facility through which to expand trade routes. Plans were drawn up for a commercial exhibition hall on the banks of the Motoyasu River. 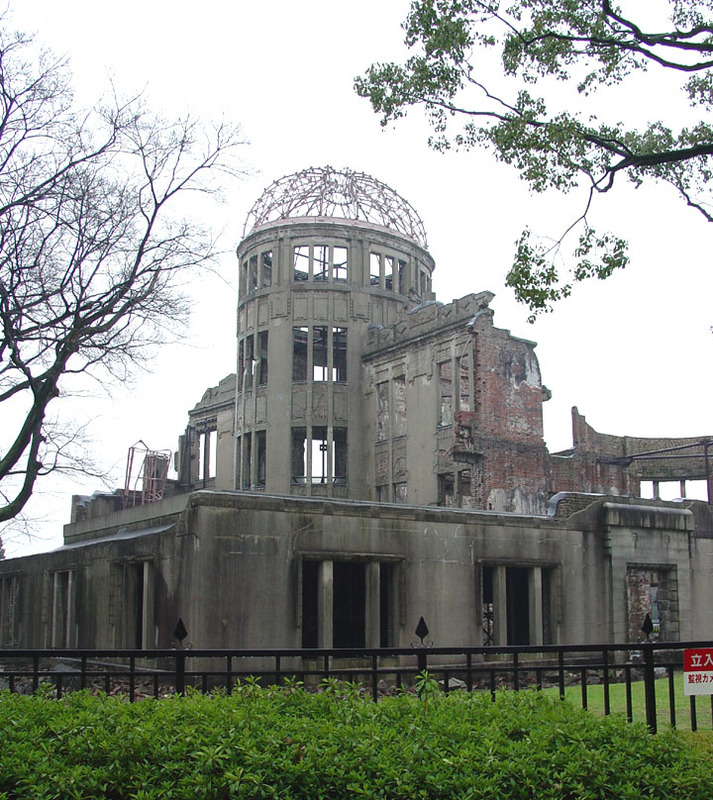 Construction was completed in April 1915, and the new building was named the Hiroshima Prefectural Commercial Exhibition HMI. 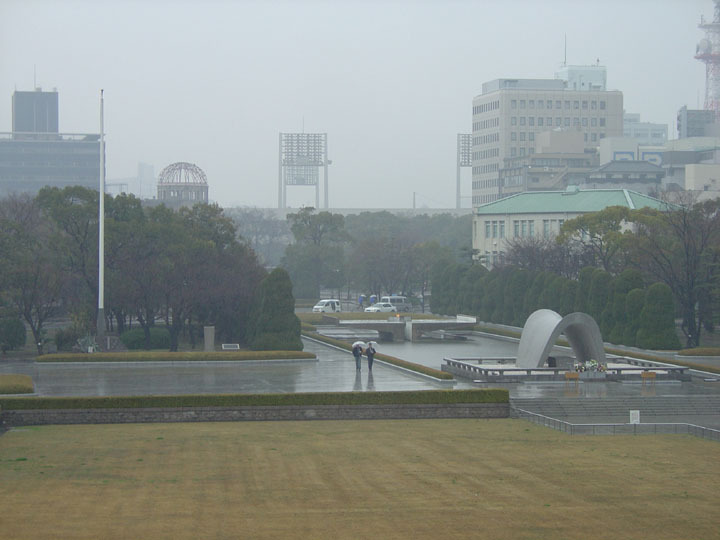 It was formally opened to the public in August that year. 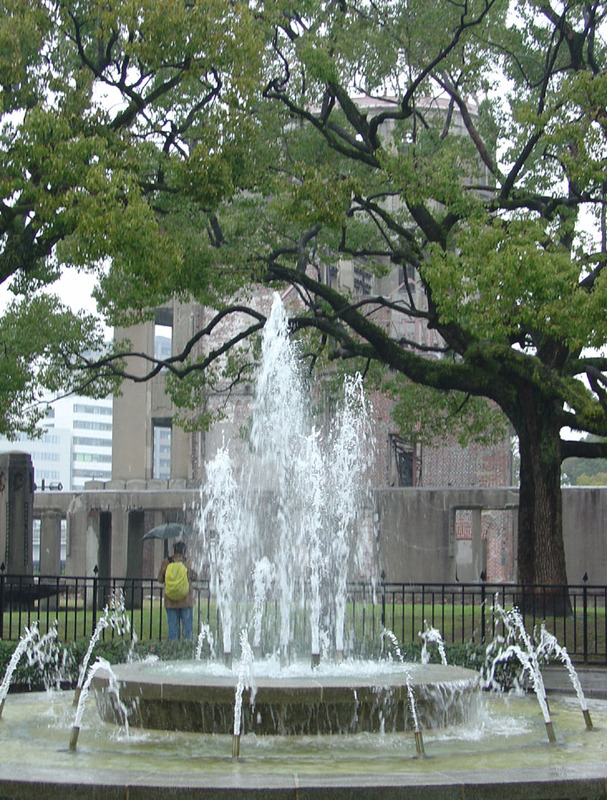 In 1921 the name was changed to the Hiroshima Prefectural Products Exhibition Hall, and again in 1933 to the Hiroshima Prefectural Industrial Promotion Hall. 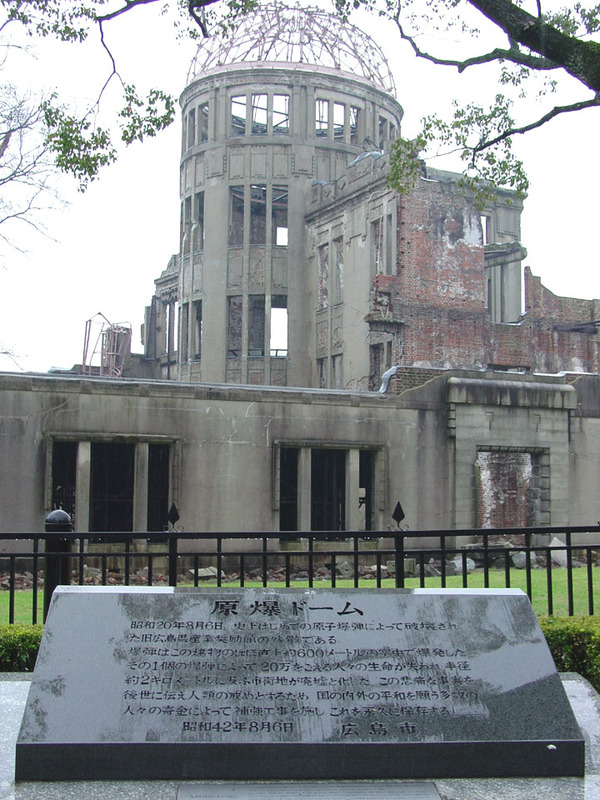 During the war, as Japan's economic fortunes worsened, the hall was commandeered for such governmental, quasi-governmental and rationing offices as the Chugoku-Shikoku Public Works Office, the Hiroshima District Lumber Control Corporation and others. 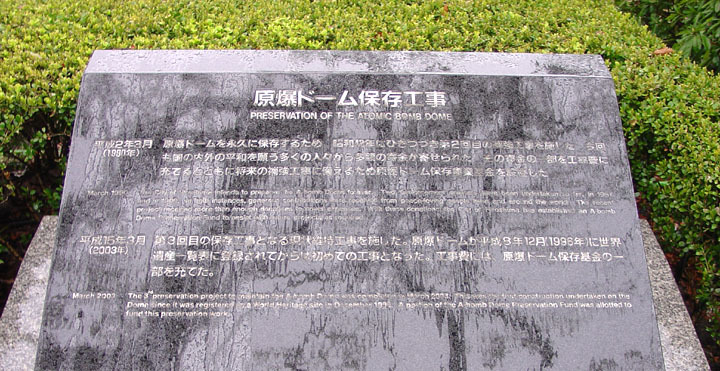 Standing a mere 160 meters northwest of the hypocenter, the building was heavily damaged by the blast, then burned from the ceiling down by fires ignited instantly by the heat rays. All occupants of the building perished. 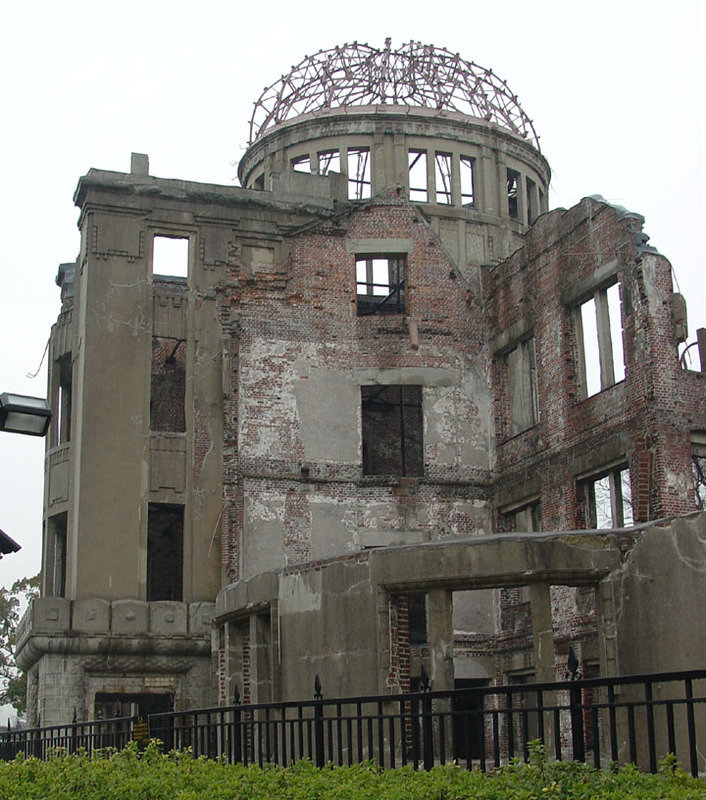 Because the force of the blast came from almost directly above, however, the section of the building under the central dome remained standing. 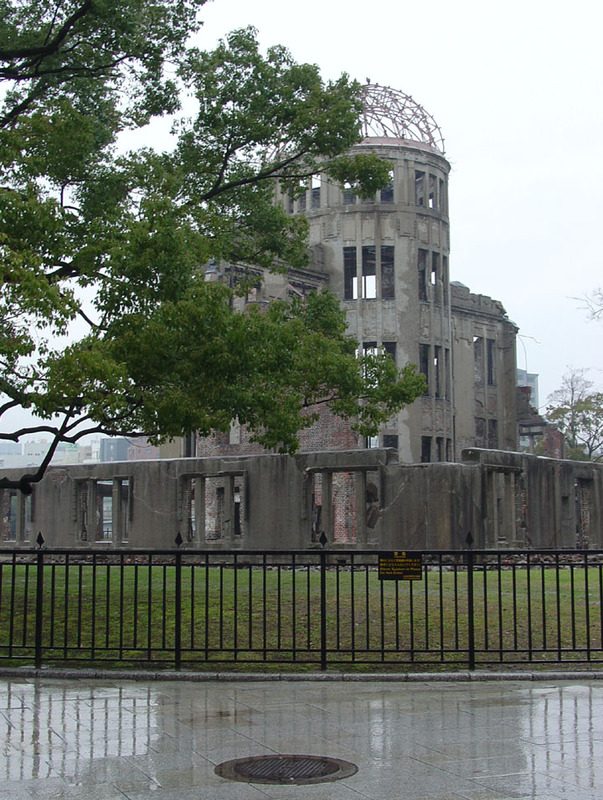 The skeletal structure of the dome looming high above the ruins was a conspicuous landmark and became known locally as the A-bomb Dome. 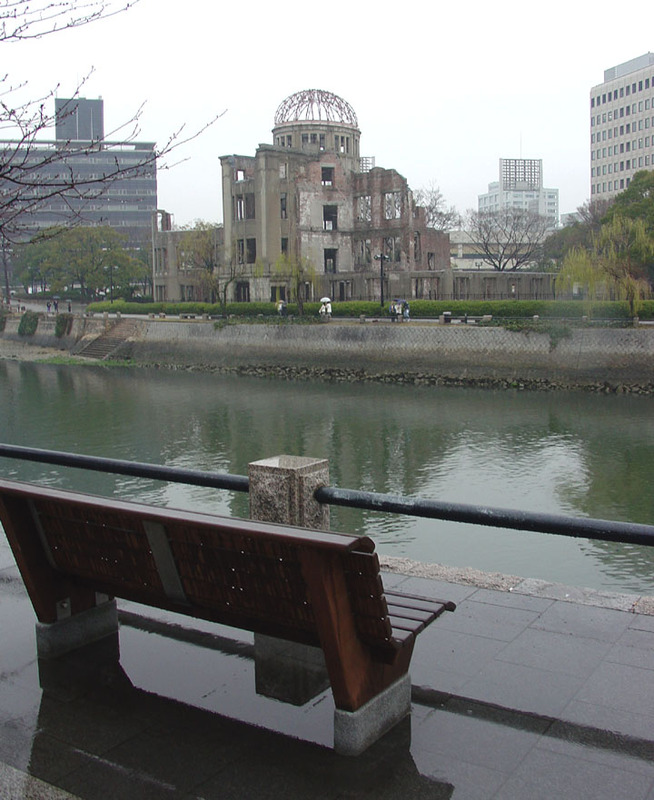 The A-bomb Dome must be passed on to future generations as a symbol of peace and as a witness that conveys the story of the horror and tragedy of nuclear weapons.